Revit Interoperability: Getting your 3D Mechanical CAD to work Revit CAD files & BIM-MEP AUS Compliance. The AEC (Architecture, Engineering & Construction) sector has long been using Revit for their 3D design of buildings and structures, but what happens if you’re a manufacturer of pumps or you fabricate staircases and your client requests files in Revit? How do you validate your design with your partner who’s using Revit? The other factor is BIM-MEP AUS compliancy. BIM-MEP AUS is an independent body that has created a standards for geometry, workflows and scheduling. So how do you get your files into the Revit format and ensure they are BIM-MEP AUS compliant so you can do business with BIM-MEP AUS members and also the broader Revit community? How do you do all this when you use a Mechanical CAD package without having to redraw the model again in Revit? Use Autodesk Inventor as the translator. Autodesk Inventor, included in Product Design Suite, has Revit Interoperability which can open Revit files (*.rvt) and export your file as a Revit Family (*.rfa) with tools for simplification and including metadata. 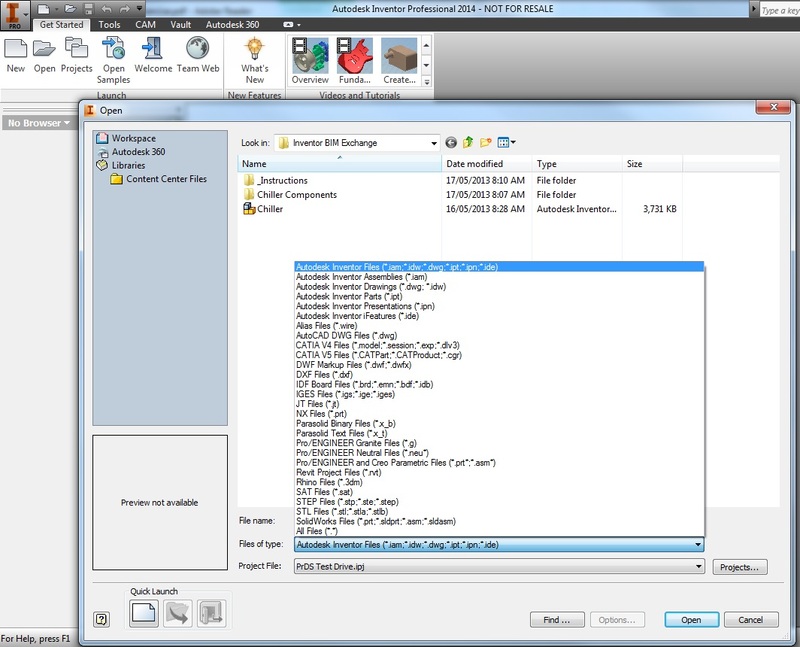 Autodesk Inventor has the translators to open all major CAD files, so you can open your file in Inventor and export it as a Revit Family file. If you want more information, the Inventor – Revit Interoperability Workflow pdf has print screens of Autodesk Inventor and will show you how easy it is to convert your CAD files to Revit. I didn;t go into too much detail, so it’s a workflow without using any additional BIM tools. There are additional tools to fill voids, define envelopes and recognise features. Page 24 of the Whats New Inventor 2014 pdf will go through these features in more detail. We can even automate the process for you.